Nestled amongst 20 hectares of pristine bushland just 35 minutes from Brisbane. 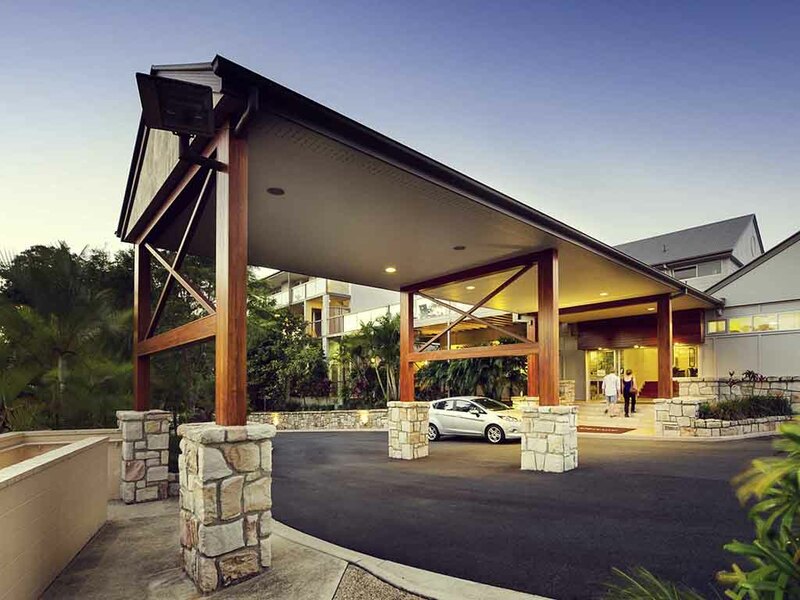 Mercure Clear Mountain Lodge offers breathtaking panoramic views of the Glasshouse Mountains and beyond. Offering 51 stylish hotel rooms & Suites to suit any occasion. All rooms beautifully appointed. Choose from the different categories available. A Standard Room, with 1 Queen and 1 King Single Bed views ranging from the Native Australian Bush and gorgeous Lake Sampsonvale, a Superior Room with 2 x Queen Size beds, views ranging from the Glasshouse Mountains, Lake Sampsonvale, the Brisbane City lights and the Morton Bay Islands or a Privilege room with private Spa bath as well as other additional benefits. Sit inside or on the balcony and indulge in an innovative menu boasting local produce. Enjoy sweeping day and night views over the Glasshouse Mountains, Moreton Bay and islands, in this stunning setting for lunch or dinner. Enjoy a wide selection of beers, wines and beverages, coupled with spectacular views at The Lodge Bar all year round. Relax in airconditioned comfort in summer, or curl up by the stone fireplace when the weather is cool.